Professor Shaun Nichols has been awarded a National Endowment for the Humanities Summer Institute Grant to stage an institute on “Experimental Philosophy” on campus in Summer 2012. Professor Ron Mallon of Washington University will co-direct the institute, which will also involve contributions by 13 distinguished consulting faculty from major universities. Professor Michael Gill has been awarded an important grant from the National Endowment for the Humanities in the category of Enduring Questions. Professor Gill's grant will support his development and teaching of a new course in the Philosophy Department curriculum entitled “Where Does Morality Come From?” The initial offering of the course will be in Fall 2011 for Honors College students. Professor Richard Healey has been awarded a major grant from the John Templeton Foundation effective in 2011-2012 in support of his research project "A Pragmatist Interpretation of Quantum Theory." Beginning May 16, 2011, the Philosophy Department is pleased to offer an exciting new accelerated masters program: the Accelerated Master of Arts in Philosophy (AMP in Philosophy). Professor David Owen has been invited to give a lecture on David Hume at a meeting of the Norwegian Academy of Science and Letters on April 7, 2011, as well as to address the University of Oslo`s "Seminar in the Theory of Science" and the "Centre for the Study of Mind in Nature," some of the university`s Centres of Excellence. He was also invited to present a paper at the joint University of North Carolina, Chapel Hill/ Kings College of London Philosophy Conference on May 13-15, 2011. 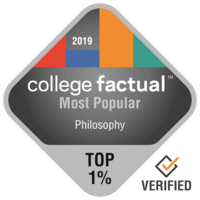 The Philosophy Department joins with Political Science and Economics to offer an exciting new major: Philosophy, Politics, Economics, and Law.